inconceivable harm, injustice and hardship. justice loving people, affirming that international human rights law not only exists on paper, but in reality. impunity that has protected perpetrators from any accountability. tiny, dark-skinned ethnic group who live in a remote section of southeastern Ethiopia. levels within the central government of Ethiopia. the crimes against the Anuak meet the stringent definition of crimes against humanity. worse than that, such crimes continue in other places in the country. Ethiopia based on your proprio motu powers as the U.N. High Commissioner for Human Rights. We believe that your investigation is justified due to the culture of impunity that exists within Ethiopia. greater stability to the entire Horn of Africa. as a haven for such criminals. against humanity and war crimes in Ethiopia. We look forward to hearing from you. (Ogaden Online) — Reports reaching the Ogaden Online service desk from the city of Diridhaba in the province of Shiniile confirm the existence of a recent pitched battle that took place between the Tigrean People’s Liberation Front (TPLF) troops stationed in the area and the local population. Eyewitnesses reported that the TPLF troops, instead of letting the citizens vent their bent up anger and frustration through the peaceful demonstration, started shooting everyone on sight. 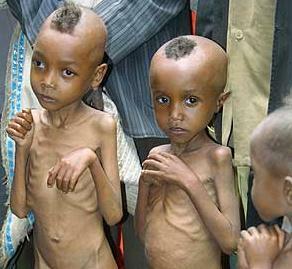 Ogaden civilians, once they realized what was going on, immediately dispersed. However, Ogaden Online reporters in the area confirmed that instead of waiting out the TPLF troops to return to their barracks, as used to be the norm, the residents, many of whom were nomads who have firearms for protecting their livestock from wild animals in the area, went back to their homes and came back armed and ready to fight the TPLF gangs. Eyewitnesses reported that the TPLF troops were quickly overwhelmed by the sheer number of armed civilians from all corners of the city. As a result, the TPLF troops were quickly overrun by the local civilians. It is reported that the TPLF militias left five of their dead in the area and went back to their barracks. The casualty figured from the Woyanne side is unknown. The civilians were said to have lost one, but there are many injuries sustained by the civilian side. The city is still tense. There are reports that the TPLF militias have consulted with their bosses inAddis Ababa on what to do next. It is said they are awaiting further instructions. Many of the civilians are said to have sworn that rather than vacate their fertile land, they would die facing off the TPLF militias and any other group that attempts to confiscate their land.